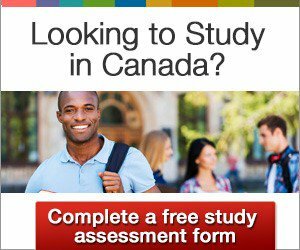 Students who wish to study in Canada may first attend a prerequisite or preparatory program to prepare themselves for the conditions of their main study program. This is called a pathway program. Pathway programs often take the form of a language course. In such a pathway program, a student may meet the language requirements of the main study program by completing a language course, rather than taking a recognized language test. While pathway programs are understood to include two stages, the first stage — for example, the language course — is usually referred to as the ‘pathway program’, and the second stage — for example, a college diploma course or a bachelor’s degree — is referred to as the ‘main study program’. Standard: A student undergoes a language course with a view to taking a recognized language test, such as IELTS or TOEFL, at the end. The language course may include preparation sessions for these tests. This type of program is known simply as a pathway program. Seamless: Some receiving institutions have agreements with language schools to accept students who have finished the language course, without the requirement of recognized test results. This type of program is known as a seamless pathway program. The Letter of Acceptance may be conditional upon the international student completing an academic upgrading course. This may occur if the student has not completed the prerequisite courses for the main program, or if secondary school in the student’s home country is not deemed equivalent to Canadian secondary school. In this case, the student may complete an academic upgrading course as a pathway program, before transferring to the main study program. Many universities and colleges have agreements with language schools and other institutions in order to ensure a smooth transfer between the pathway program and the main study program. Usually, a pathway program is taken at a different institution from the main study program. Occasionally, the pathway program and the main study program take place at the same DLI. If the pathway program is more than six months in length, a potential international student would be required to apply for a Canadian study permit. If the pathway program is less than six months in length, a study permit is not required. In both these situations, a Temporary Resident Visa (TRV) or an electronic Travel Authorization (eTA) is generally still required. To find out if you need a TRV or ETA to enter Canada, click here. After the student has successfully completed the pathway program, he or she is required to apply for a new study permit for the main study program. This is the case for all students, regardless of the length of the first pathway program.